I swear that I am a ‘glass is half-full’ kind of guy, even though I spend an equal amount of time each New Year’s focusing on both my own victories and failures. Maybe I could have hit the gym a little more? Maybe I didn’t need to finish that entire bottle of Black Velvet last Saturday? Don’t judge me. As a design student, my days are spent critiquing my own work and others, which has given me a hyper critical sense of self-awareness. This is not necessarily, a bad thing. Self-awareness is important, especially to, let’s say, a sports team with a mediocre image. Admitting that there is a problem is the first step to reaching a solution. 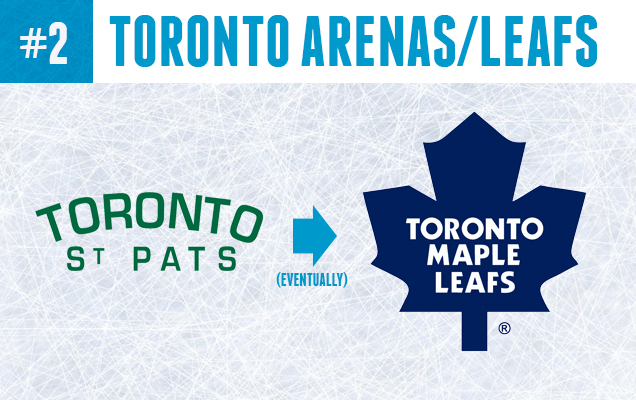 In this installment of Top 5, I ranked the best re-brands in NHL History. These are 5 teams that made a bold decision to start fresh with a brand-new look during their history and have been rewarded because of it. Understandably, I may invoke the wrath of my friends in the wild north for this one, but if we are being honest with ourselves, purely on a design level, the branding transition in 1993 From the NHL’s Minnesota North Stars to the Dallas Stars was a smooth one. Is there another city or state better suited to adopt a team nicknamed the ‘Stars’? The team brought the gold and green color scheme along with them to Dallas, as well as the logo Minnesota had been using for the last 2 seasons which was a giant star in place of ‘A’ in the words ‘Stars’, excluding the word ‘North’, which many think was a big hint that the team would be moving soon. The Dallas team ended up keeping this look for another 20 years! 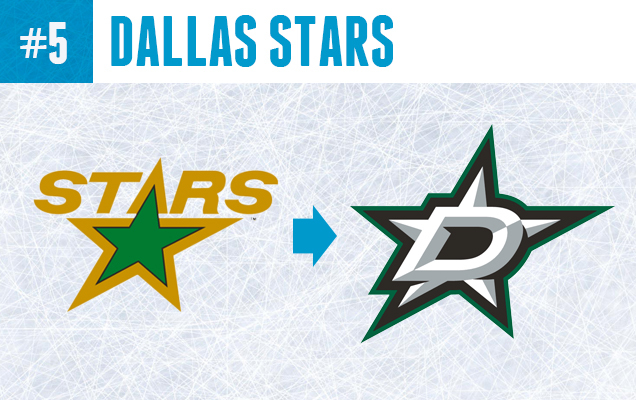 In 2013 the Stars updated their brand, moving away from tradition by introducing a new color dubbed “Victory Green” and changed the logo to a capital letter ‘D’ inside of the star, finally they changed the gold highlights to silver. The Dallas Stars are here to stay, it seems, and I believe their most recent re-fresh has strengthened the team’s brand as a whole. 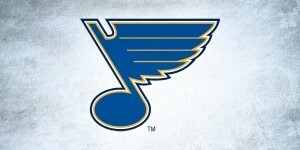 No disrespect to Minnesota’s beloved ‘N’ star logo. We will always love you. Forever. I promise. Related Reading: HbD News: New Dallas Stars Logo Leaked! 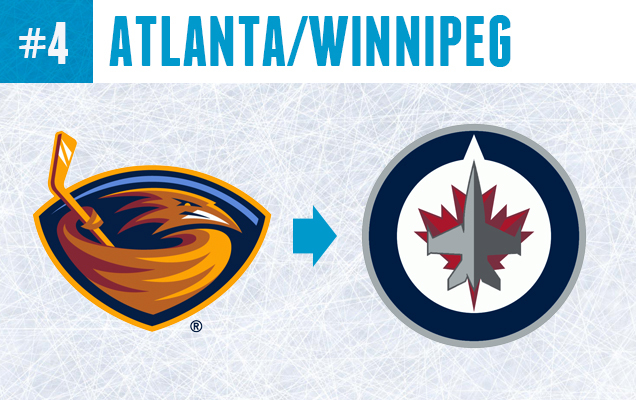 Somehow the NHL’s Atlanta Thrashers operated for an entire decade (1999-2011) using one of the worst bird logos ever conceived in American sports. Does that sound a little harsh? Well they were also using one of the wackiest color schemes to ever grace an NHL jersey and they pretty much stuck to it for their entire existence…which I have to respect in a weird way. When the team moved to Winnipeg in 2011 they took up the familiar name of the ‘Jets’, a former NHL team with a great logo who re-located to Arizona and became the Coyotes. In a bold move, instead of using the old Jets logo – which was well loved pretty much everywhere – the team decided to completely re-brand and come up with their own version of a ‘Jets’ logo. The new version with a jet-plane inside of a compass, with a fiery maple leaf thing-y behind it, is not as great as the old Jets logo, but it is a huge improvement from the Thrashers logo, and their return to a blue, red, and white color scheme is a relief to both designers and hockey fans alike. This franchise began as the short-lived Kansas City Scouts whose Native American on a horse logo (inspired by a statue in Kansas City) was amateur-ish despite having a cool name. 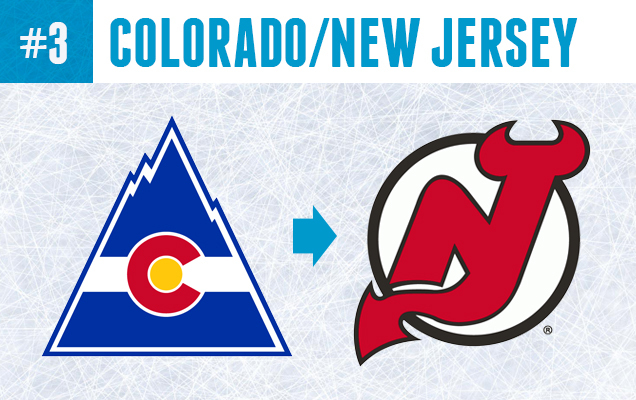 The team’s branding was only slightly improved when the team moved to Colorado and became the ‘Rockies’ carrying over the Scouts primary color scheme which matched perfectly with the blue, red, and yellow of Colorado’s state flag, which in a seemingly lazy move, the Rockies used as their team’s logo. 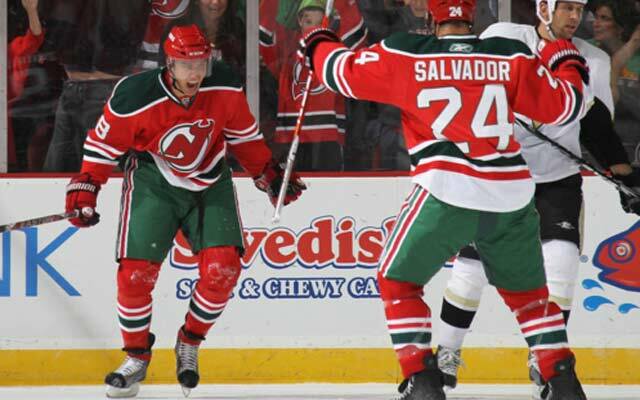 In 1982 the team moved to New Jersey and held a contest for the re-naming of the team and became the New Jersey Devils, inspired by the legend of the Jersey Devil, an ominous creature living in the pine barrens of south jersey. A lot of good decisions were made in the re-branding of the team. The Devil’s basic logo, a letter ‘N’ with devils horns and a tail in a circle, has been used nearly un-changed for 33 years except for changing the color of the green circle to black in 1992. The team has since won 3 Stanley cups in their red, black and white (and sometimes green) uniform and still look fresh today. Forbes Magazine recently listed the Maple Leafs as the most valuable franchise in the NHL, at $1.15 Billion. The team had much humbler beginnings, nicknamed the ‘Torontos’ or ‘Toronto Arenas’, they used only a simple, blue, slab-serif letter ‘T’ as their logo in 1917. Two seasons later the team was sold and re-branded as the ‘Toronto St. Pats’ whose color scheme changed to green and whose minimalist logo was just the teams names across the sweater. In 1927 the team was sold and became the Toronto Maple Leaf Hockey Club, who adopted a green maple leaf logo for their first season, before switching to the navy blue and white color scheme that we know today. The Leafs logo has had many slight variations over the years but the team’s overall simple and clean branding has remained strong and steadfast for 87 years and counting! 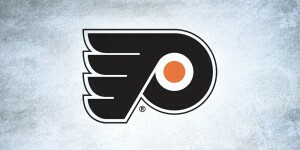 Don’t bet on this proud and historical franchise to make any changes any time soon. Detroit hockey is the what legends are made of. Nicknamed ‘Hockeytown’ this city represented their first NHL team, by the name of the ‘Cougars’, with an old-English letter ‘D’ on a red shield in 1926. The colors and feel of this team laid the beginning foundation for a brand identity that would eventually become what it is today. 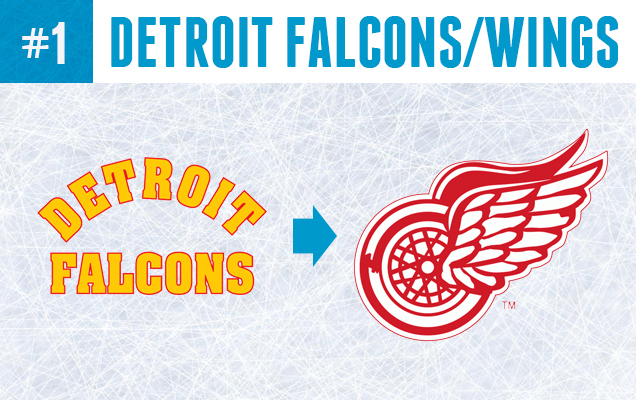 However, a re-branding as the yellow and red, Detroit Falcons in 1930 took this franchise off-course for two seasons before James E. Norris purchased the team in 1932. 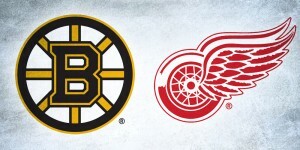 In what can only be described as a spark of genius, Norris connected his old athletic club, which had cycling roots, and the city of Detroit’s automotive industry and nicknamed the hockey team the ‘Red Wings’ using his old ‘Winged Wheeler’ logo and returning to a simple red and white color scheme for the logo and jerseys. There is no doubt that the Red Wings brand has become one of the most iconic in the NHL and has basically remained unchanged for 83 years. In 2008/09 the team re-adopted the Cougars old-english letter ‘D’ as an alternate logo for the Winter Classic, seamlessly blending the past and present into a team identity that most franchises can only dream of. What do you think? What’s your favourite team re-brand? Let us know in the comments below. Yes, absolutely agree. But that little notch at the top is definitely meant to imply a compass as well. It’s not meant to imply a compass. 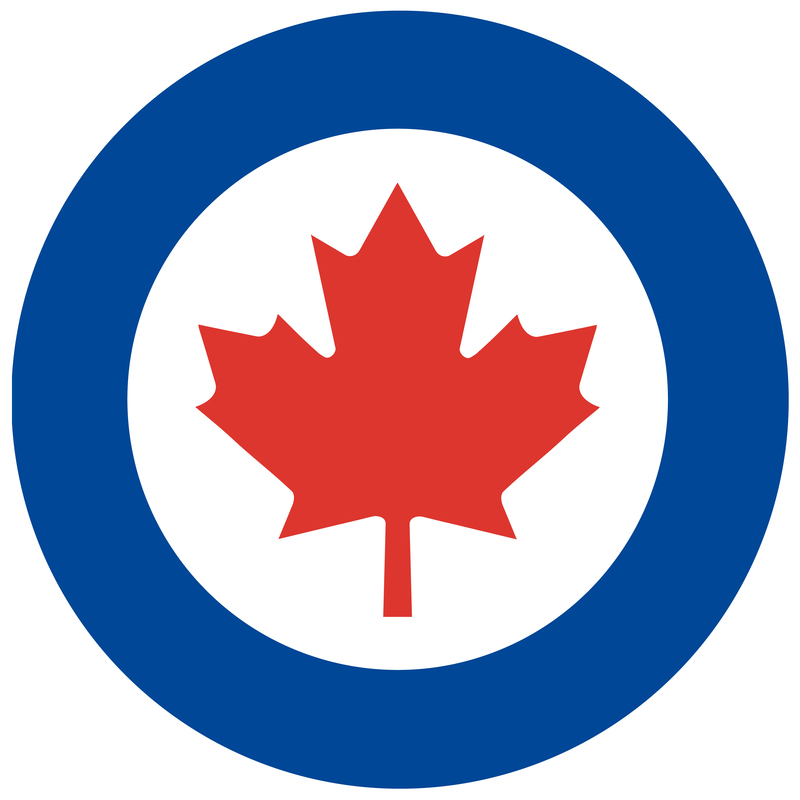 It’s simply a RCAF roundel logo, with the notch being an homage to the company that owns the team, True North Sports & Entertainment. It looking looking like a compass, is coincidental.